When I was setting up my classroom this summer, I just could not find a jobs bulletin board that worked for my classroom. With all of the data, goals, standards, vocabulary, and objectives we have to post in our classrooms there just wasn’t room for a big job display board like you find in the teacher stores. Also, they all seemed to not have the right “mix” of jobs for my classroom. 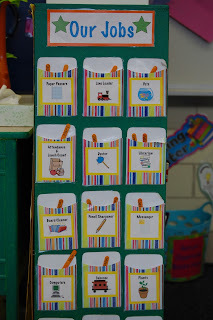 I decided to make up my own jobs board using the library pockets you can buy at the teacher store in a variety of colors and patterns. They fit perfectly right on the side of one of my shelves. I use Popsicle sticks with the kids’ names on them. You can put as many sticks in the pockets as you like. This gives you a lot of flexibility for how you want your jobs to work. Best of all, I can reprint these each year to replace them as they become worn and torn without costing me hardly anything! You can find the job labels HERE and of course if you think of any jobs to add send an email with your suggestions! 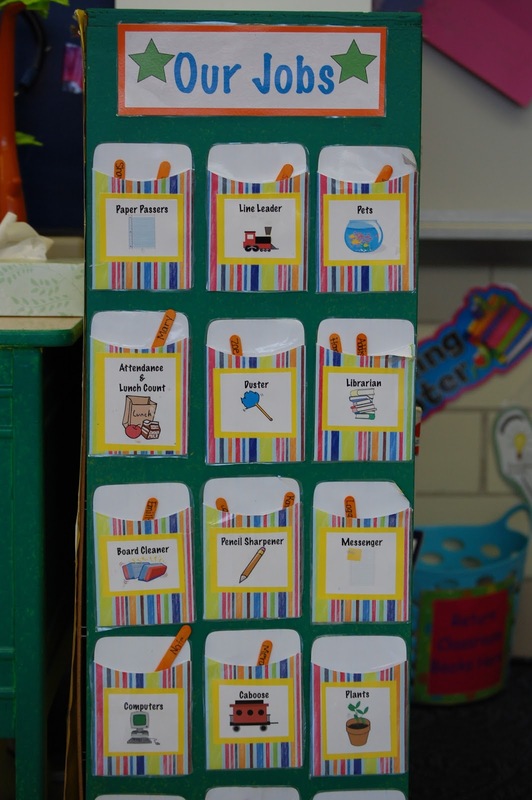 You have a really cute classroom jobs display. However, if they knew which type of job search they were undertaking, they would know what type of result they should expect.